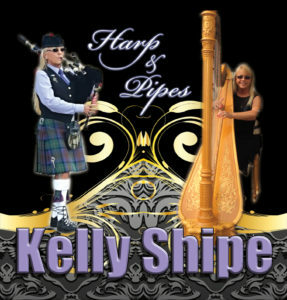 Bagpiper from Knoxville Tennessee Harpist from Knoxville Tennessee (Will Travel) Text or Phone 865-591-0160 Email Kelly@harpnpipes.com Graduate of the University of Cincinnati Conservatory of Music 1983 Experience: Weddings and all types of musical services since 1982 Professional expertise and unparalleled performance guaranteed. I play both instruments professionally. 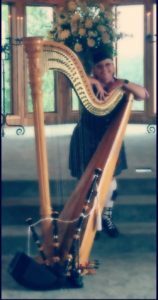 My performances include: Weddings Receptions Memorials Funerals Parties: Weddings, Receptions, Birthday Anniversary, Holiday, Corporate Dinners: Rehearsal, Corporate, Anniversary, Holiday, Birthday, Memorial Receptions * The list goes on, and is never limited to what is listed above.